If you look at the top menu of this site, you’ll see a new option at the left side of that menu, “Give”. 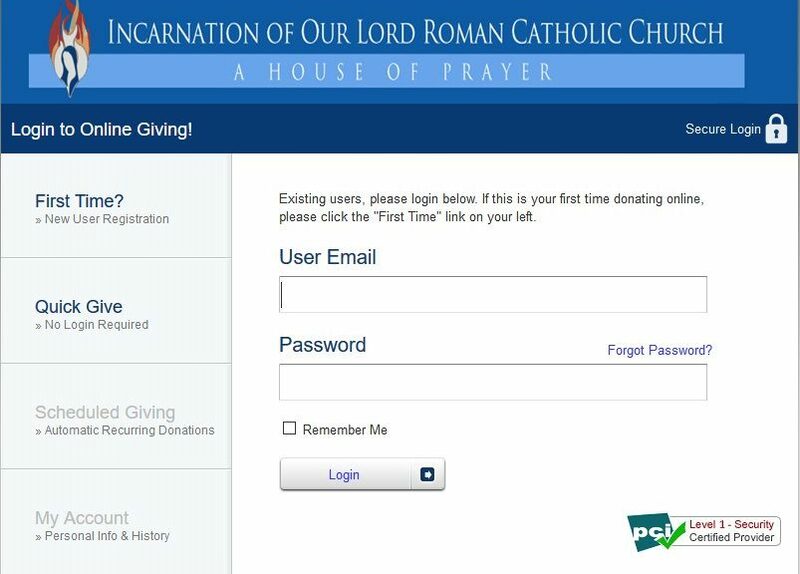 Clicking that link takes you to Incarnation Parish’s Online Giving site, hosted by ParishSOFT.com. Now, instead of scrambling for cash or writing checks for your offering, you can do a “Quick Give” or schedule recurring donations. It’s safe and convenient. There is a screenshot at the top of this post of the Online Giving site. You have to click the “Give” menu item to actually go to the site.